HomeBlogHome DecorVento Sofa-Bed by Thomas Althaus for Die Collection. 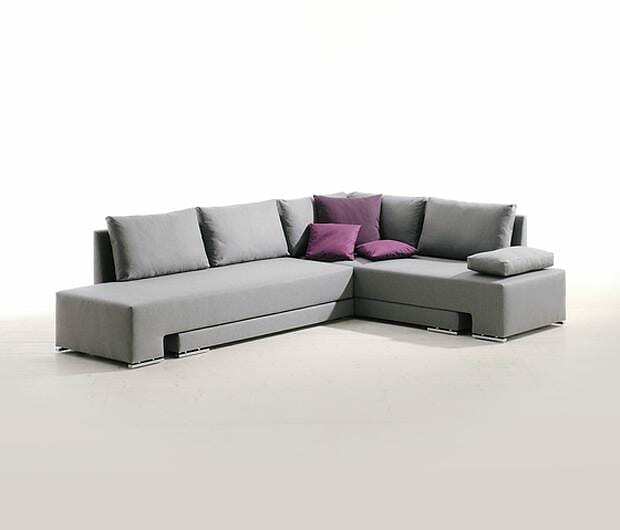 The Vento Sofa by Thomas Althaus for Die Collection transforms into a comfortable bed fast and effectively, there you don’t even have to remove the cushions. Moving away from the definition of single purpose units, modern furniture have evolved into multi-talent transformers that can save a lot of space by serving multiple functions. 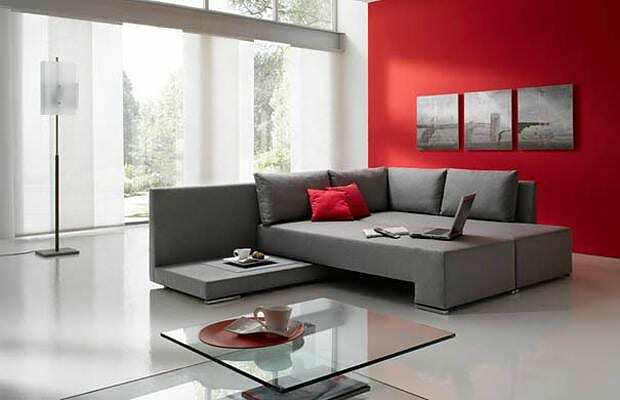 A perfect example is the smart and stylish Vento Sofa-Bed. Vento does away with the conventional approach of using metal joints and complicated mechanisms. It transforms into a solid double bed with one move, simply by rotating one of the large main cushions next to the other main cushion. As an extra bonus the bed comes equipped with a practical built-in side table, for the comfort of your guests. Thomas Althaus came up with a very solid design that can be a valuable space saver for studios and smaller places, or even a flexible bed for those long nights in the office. The simplicity of the design is the key to success, the absence of moving parts guarantees longevity, while retaining an edgy modern feel. 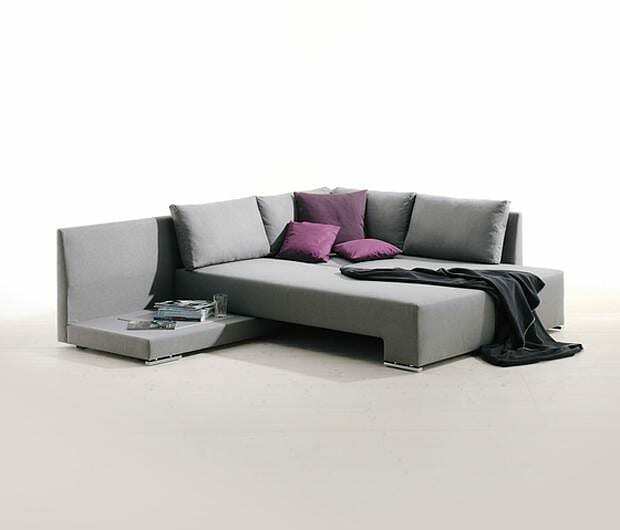 Vento Sofa-Bed is great for you and your guests. Why is this sofa such a secret and nobody can tell where you could get one??? Its rather very expensive thats why at a price of $8000 dollars. It is not a secret Liva, drop us a mail at (info@designisthis.com) and we might be able to short it out for you. No promises but we sourced one in the past, It cost 3.876€ (VAT and transport inclusive) for the textile version, there is also a leather version which is significantly more expensive. This was back in summer 2013 though, current price might be slightly different. How do I order one of these..? Dear Jennifer no promises, but we might be able to source this item for you. Send us an e-mail please at (info@designisthis.com) so that we can send you the PDF with the color and material choices. We will also need country and shipping address to calculate freight cost. 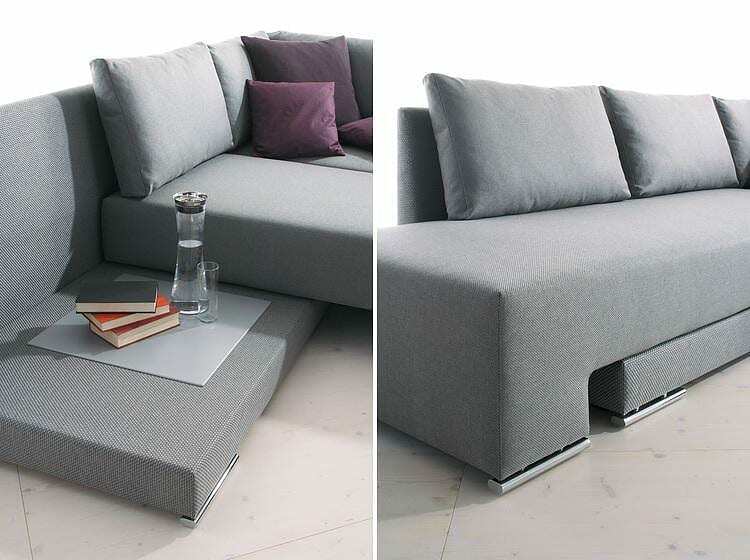 I’m interested in the Vento sofa/bed. Wondering if you can still source this for my client? Fabric samples/choices? Current price? Lead time? 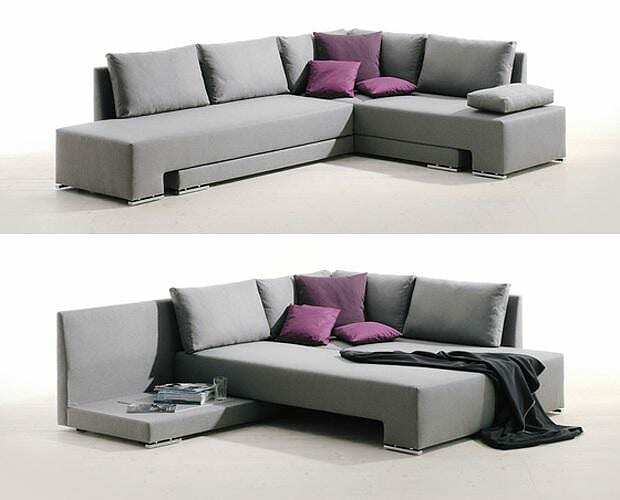 I’m interested in the vento sofa/bed. Is it still in stock and how much does it cost? Dear Sandra, no promises, but we might be able to source this item for you. It is not in stock, it is a special order item. Prices start at EURO 3.400 (price includes 23% VAT delivery charges are extra). 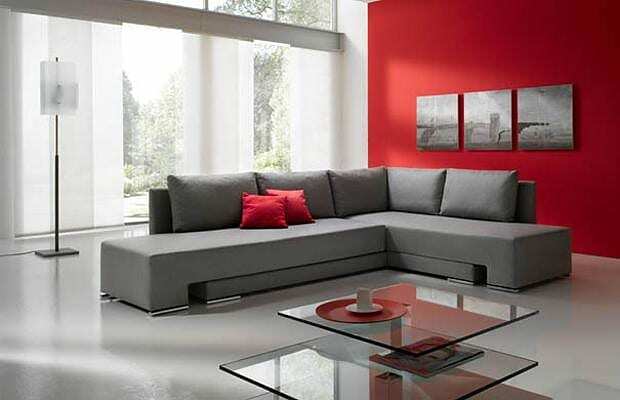 I am very interested in the acquisition of the Vento sectional sofa bed. Are you still able to source this item? Thank you for your interest (apologies for the late reply, it seems I missed your comment notification). Please drop us a mail at (info@designisthis.com) with your requirements and we will come back with a quote. Please help me to locate the VENTO sofa so I will purchase it. I live in Palm Beach Gardens in the USA. Sorry to disappoint you but at present we don’t have access to this product. We are making an effort to find a new supplier as this product is on very high demand, but so far no luck. Do feel free to drop us a mail so that I have your email and I will surely let you know if we manage to source that elusive piece again. My client is very interested in this piece is this still available? 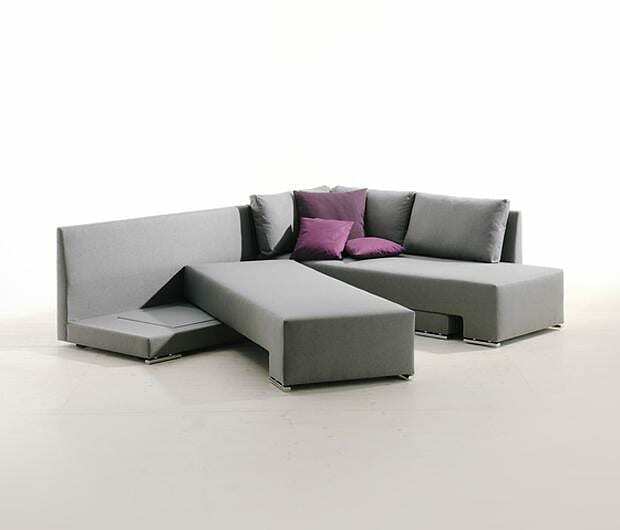 hi, this is Beata can you send mi some info about this sofa.Is this available in U.S.A? 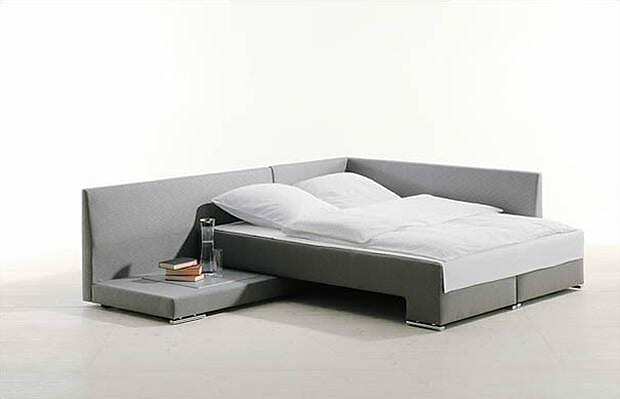 Vento Sofa-Bed by Thomas Althaus for Die Collection.Im very interested in this piece to buy it.